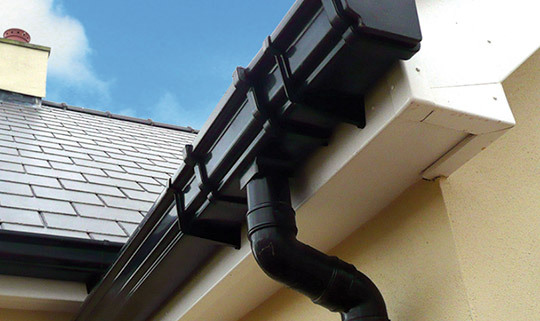 Gutters are used to direct water from your roof and away from your home’s foundation. Directing water is for the benefit of your roof, your brick and siding, your foundation, and your landscaping. Gutters are a benefit to your home from top to bottom. Improper rainwater drainage can lead to structural damage as well as leaks into the interior of your home. Without direction, rainwater falls unhindered, directly to the ground, which causes backsplash. 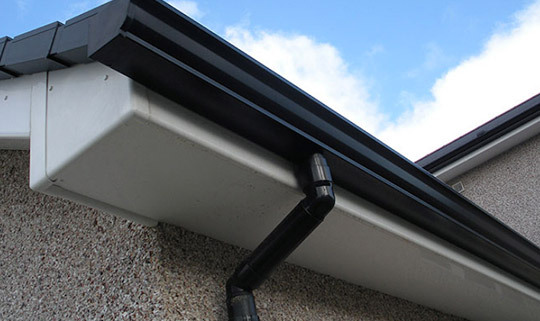 Plastic gutters are one option when it comes to installing gutters on a home. Like everything else, they have their have advantages and disadvantages. They are easy to install, inexpensive, and will never rust. On the other hand, they can also be easily damaged by heavy ladders or tree branches. 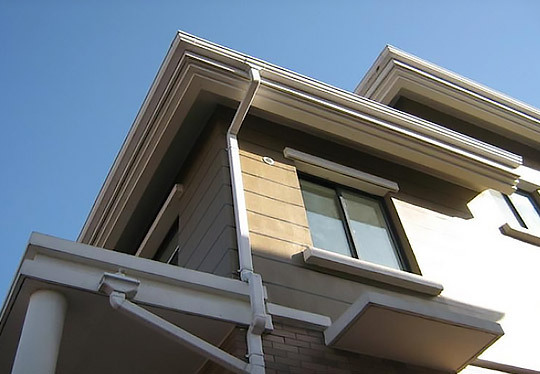 Many plastic gutters also have a tendency to deteriorate or become weakened after prolonged exposure to UV rays, age, or cold environments. Gutter guards, a form of leaf protection, allow water to flow freely through the gutter bottom while preventing debris from falling into the gutter and interrupting the flow. This interest in maintenance reduction through debris filtering has grown more popular in recent years, along with an aging population of homeowners. Though it adds cost to the initial installation, these costs can be mitigated over the years by the safety benefits and /or eliminating costs associated with gutter cleaning.